The tests are efficiency tests to measure member’s proficiency whilst creating enthusiasm to learn. They begin with E and progress through to A and in-between the tests there are various achievement badges and the road rider test. Achievement badges, stable management and working rallies form the foundation of test training. Specific test training rallies and stable management sessions are also organised prior to tests to help ensure all areas of the test syllabus have been covered. Work books are also available from D through to A, which provide text for each line of the syllabus for that particular test. The tests are designed as a goal for members to aim for whilst improving their horsemanship skills. They are a great way to meet and make new friends in Pony club without being competitive. 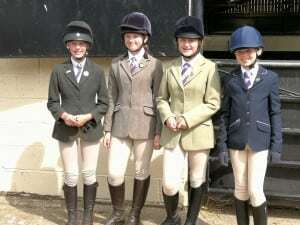 The standards required in the Pony Club tests especially later ones (C+, B, AH and A) are comparable to BHS exams, forming stepping stones into professional teaching and management qualifications. Although for many of you just joining, this may not seem important, however you cannot skip ahead at a later date. For example if you join at 16 years old you will still have to start with your D+ test and work upwards. We will always help new members catch up without holding them back with the younger members. Whilst the tests do get harder as their value increases they are not an interrogation designed to scrutinise young riders. The process of training and taking the test is to be enjoyable and the feeling of achievement in passing the test is hoped to continue a sustained enthusiasm towards learning and Pony Club tests. What test to take and when to take it? The tests are a progressive ladder of learning and each test has an advised minimum age. 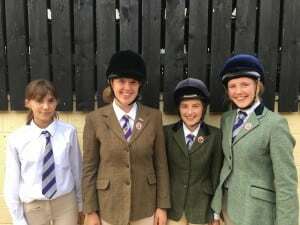 I together with pony club instructors can advise you on what tests you can take and will always try to help with any questions. D, D+, C and C+ Tests are usually held at the beginning of September, watch this space, venue TBC. SOHC prides itself on offering an extensive range of test training rallies to ensure our members are as well prepared as they can be to take these tests. Please consult the latest programme or the Tests tab for an up to date list of test training dates.